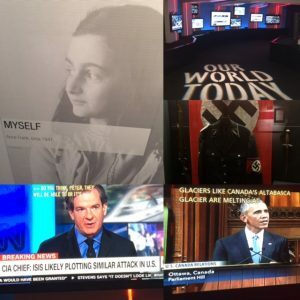 Yesterday, I took a tour of the Simon Wiesenthal Center’s Museum of Tolerance and I was disappointed by the choice of CNN being shown in real time featuring “ISIS plans terror attacks in the US” and President Obama in Canada talking about the melting glaciers. Throughout the exhibits, there was the tendency to steer the narrative away from common shared humanity into the story of monsters killing their victims. When we look deeply at the history of genocide, we often fail to identify the root problem – identity. They showed a video about Darfur, Bosnia, Rwanda, Cambodia, Naziism, Armenia…but the question of why these rational and popular genocides occurred is not deeply explored. As we witness the rise of nativist fascism in the self-proclaimed free world, very few us have what it takes to speak up against intolerance and simply accept the world as it is. Sadly, in a world with perceived scare resources and consensual fear, we all cling to identity. We don’t want to be part of one big human family; we want protectors, affinity groups, guarantees, and safety. I was playing poker with some rich “white” guys and one of them, married to a Philipino-American woman, said “Asians are much more racist than Americans.” I didn’t contradict him but I disagree. I submit that lack of contact is an explanation albeit not an excuse for xenophobia which is endemic to Asian countries. What are the two poles of human identity politics? Patriarchal fascism and Matriarchal syncretism. Every organization, from best friends, to families, to neighborhoods, to religions, to nation states, to species eating other species- they all require active truth telling which is dubious and conditional at best, and hypocritical and self-serving at worst. They all create identity from the “us” and the “other”. In a patriarchal/conservative systems, father knows best and might makes right. Everyone must identify with the values of the one leader- that is fascism. In the matriarchal/liberal systems, every being is equal because a mother wouldn’t favor one child over another. Everything is acceptable and all identities welcome. This leads to fluid codes of sexuality, religion, politics, and affinities and for many people, is also threatening. That is the syncretic truth of “I’m okay…you’re okay”. In the final analysis, there is no perfect system. We can’t all worship one god and kill the infidels. Yet most people wouldn’t welcome a Mesopotamian and syncretic Sodom and Gomorrah where everyone worships everything and loves anyone. As self-proclaimed guardians of the city upon the hill, we should all be perpetually leery of visionaries, prophets, charismatic leaders. Our best case for a “just-right Goldilocks” future is to seek a path forward that honors social justice, the rule of law, and common sense and decency. Judging by the deafening silence over concerns about deaths in Istanbul versus the narrative-coherent events which get 24hr news coverage by CNN, we can only conclude that empathy, which is at the heart of media-directed identity, is not a rationally distributed phenomenon. Perhaps it is our narrow definitions of affinity are the actual root cause of genocide. Love and hate are two sides of the same coin that reads “self and other”. Without love for your chosen affinity group, there can be no hatred of the perceived “other”. As a student of biological anthropology, I have to say that the history of social anthropology is often complicit in perpetuating racism. You need only look up the origin of the word Caucasian to understand how stupid American racism really is. There is no such thing as race and the invention of the light skinned person of European origin is arbitrary and silly. Now that Turkey is coming back into the EU and Russia is out, what do we have for a theory of American whiteness? Have you been to Russia or Turkey? I have. People look like they could be from anywhere. 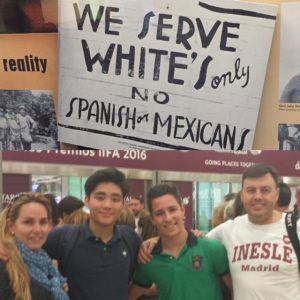 Witness this genius sign created in the early 20th Century in California shown at the Museum of Tolerance saying they serve whites not Spanish people (although maybe they were protesting the language). Then consider this picture of my son arriving with his Spanish family in Madrid for a month. They look pretty “white” don’t they? I love this country but in order to improve it, we need to understand it. It can be argued that the US is the most racist nation in the world and always has been because we have always legislated and normalized oppression under a banner of “white supremacy” (which managed to exclude Jews, Catholics and Irish). From slavery, genocides of indigenous peoples, The Chinese Exclusion Act, to the anti-miscegenation laws of the State of Virginia, whose motto ironically states “Virginia is for lovers”. 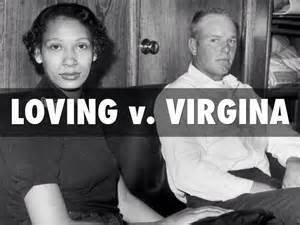 After being jailed and forced to leave their state, this brave couple won the right to be married June 1, 1967 as told in the movie Loving. You can make that argument but I do not see it as accurate. Everything that you do not like you are relegating to “white supremacy”. I would focus WS in a much more narrow context. Jews, Catholics and Irish bigotry have little to do with WS and more to do with WASP mentality. Yes white is in that word but also so much more. Religion is more of the culprit. Just as Irish, Chinese, and Spanish discrimination is more of an economical bias or job bias (we do not want these other nationalities to come to our shores and take jobs from those that are here already by working at a low wage). Black racism has its roots in slavery and dates back centuries. I am not condoning it just discussion its derivation. At least in biblical times one could be a slave and not black and gain their freedom. Slavery has its roots in economical bigotry. And it still goes on around the world including ASIA. As far as Asian Superiority – you blame their short comings on the cultural bias of an insular society. I would say that they chose that society because they are biased. They banned for centuries anyone else coming to their shores. And if someone came they were killed or placed in a walled off area so that they would not contaminate the pure Asian Society. This similar thinking is likewise perpetuated within our own societies by some who migrate to these shores or other countries and maintain an insular existence believing anyone outside of their community as tainted. So instead of making an attempt of blending in and becoming American, or Canadian or German, they decided to maintain a separate identity which they consider superior to those around them. This of course will lead to condemnation. But that is not white supremacy. Is their bias among Asians – I think much more so than Americans! Thanks for your thoughtful reply. I don’t disagree with any of your points. My thesis for the blog was that all identity is ridiculous and the root cause of genocide. Sadly, so-called “white supremacy” thinking is a real and has proven to be a constant lever in American history. 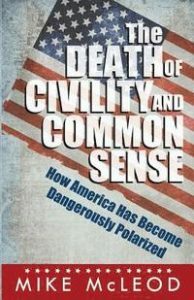 The disintegration of the Republican coalition has revealed that the tacit accord between the country club Republicans and the poor white Republicans was predicated upon a manufactured fantasy of Euro-white identity that assumed facts not in evidence: that there is such a thing as “whiteness” and that it is a position that can be and should be codified and defended. There are white Catholics and Jews. There are white Muslims like Syrians and Bosnians. I do not think Asians are morally superior and in fact, the Japanese are the most fascist nation by culture of any peoples because they are obsessed with establishing and identifying with dominance to the point that so-called genetic “Koreans” need to assume crypto-Japanese names and identities just to be viable in that country. My only point was that in the US, a rather ridiculous brand of “white supremacy” has dictated jurisprudence and politics for far too long and that if we are not careful, Trumpism and the crazy notions of nativist populism could lead to genocide in our time if we are not willing to deconstruct what “make America great again” is really signifying. It is a dog whistle to return to simpler, irrational theories of WASPISM because of a perceived and bogus threat from the “other” or the dark skinned-, Non-Christian, job-stealing immigrants that just came here to be part of a greater experiment of Americanism. I submit that Americanism is the huddled masses yearning to breath free and that a Pax Americana is a viable model for a bona fide new world order of social, economic, religious, political, and ethnic mobility and freedom.